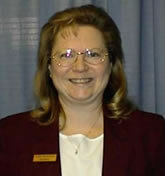 Victoria K. Goldsten, H.D., Ph.D., L.P.N., B.S.N., L.M.T. Board Certified Holistic Health Practitioner, A.A.D.P. Victoria Goldsten has been caring for the sick since 1973. Her first health care experience was in nursing at several local hospitals and health care facilities. She later studied and received certificates in: homeopathy, Reiki, acupressure, and hypnotherapy. She has a B.S. degree in Nursing and a Doctorate degree in Homeopathy. She is licensed in Nursing and Massage by Maryland and Washington, D.C. She has lectured to many local groups on a variety of topics emphasizing natural treatments. Victoria Goldsten has been instrumental in educating the public in the differences between Traditional Naturopathy and Naturopathic Medicine. She has created her own treatment manual of natural health care covering therapies for physical and psychological problems. She is currently working as the Director and an Integrative Homeopath at the Washington Institute of Natural Medicine. She worked for four years at the Mount Pleasant Natural Health Care Center offering natural health exams free of charge or at reduced rates to low income families of the community. Victoria Goldsten was the director of the Alternative Medicine Department of the Washington Home and Hospice in Washington, D.C. for several years. She was in charge of the natural treatment of clients with a variety of severe illnesses such as Alzheimer's, dementia, AIDS, and ALS; under the supervision of the Washington Home's medical director. Licensed Massage Therapist, 1999, Washington, D.C. Registered Doctor of Naturopathy, 1995 to 2010, Washington, D.C.
Board Certified Traditional Naturopath, A.N.M.A. The recognition of traditional naturopathy varies by jurisdiction. Virginia permits traditional naturopathy but offers no license for the profession. As March 1, 2010 Washington DC has eliminated the naturopathy registration for Traditional Naturopaths which has existed since 1985. As of 2017 Maryland eliminated the recognition of the practice of Traditional Naturopathy.